Home / breaking news / Breaking: Chief Justice of Federation Onnoghen closes defence,"Non Declaration of Assets"
The suspended Chief Justice of Nigeria, Justice Walter Onnoghen, on Wednesday, at the Code of Conduct Tribunal, Abuja, closed his defence in his ongoing trial on the charges bordering on assets declaration breaches, after calling his driver of 20 years as his first witness. Lead counsel to Onnoghen, Chief Chris Uche(SAN), told the court that after taking a deep consideration, the defence closes its case. “Pursuant to paragraph 14 of the Practice Direction of the CCT, we will be applying to file our final written addresses.’’ Uche asked the court gove the counsel in the matter 14 days within which to file in their written addresses. He also applied to be obliged with the proceedings before the tribunal. The prosecution led by Aliyu Umar, SAN, also prayed the court to be accord counsel enough time in order to file their own written address. “Because time for filing of written address is not expressively provided for in the Practice Direction, that makes it a matter of discretion of the court,’’ Umar said. However, the Chairman of the tribunal. Danladi Umar said that the tribunal has given the defence three working days, from April 4 to April 8 file their address. The Chairman said the prosecution should file their address from April 9 to April 11. He further adjourned the case until April for adoption of written addresses. NAN reports that Onnoghen’s 60-year-old driver, Lawal Busari to the tribunal as his first defence witness following the March 29, ruling of the tribunal dismissing his no-case submission. Busari entered the witness box, the tribunal issued an order of subpoena, on a director at the Code of Conduct Bureau, Mrs. Theresa Nwafor, to appear as the suspended CJN’s next witness on Wednesday. This followed an earlier oral application by Onnoghen’s defence lawyer, Chief Adegboyega Awomolo (SAN), on Monday. Read Also: Assets decalaration: Onnoghen opens defence with driver as 1st witness The lead prosecuting counsel, Umar, did not oppose the application for the subpoena. In a bench ruling, the tribunal chairman ordered the issuance and service of the subpoena on Nwafor directing her to appear at 10 am on Wednesday. Asked by the tribunal chairman, Awomolo said during the Monday’s proceedings that the defence had proposed to call “two or three witnesses for now.” With Busari’s testimony concluded on Monday, it was not clear if the defence would close its case after Nwafor’s evidence on Wednesday or whether the suspended CJN himself would testify. Testifying earlier, Busari, who described himself as the Chief Driver/Mechanic at the Supreme Court of Nigeria, said Onnoghen submitted his assets declaration form in 2010. This was contrary to one of the six counts preferred against Onnoghen that he did not declare his assets between 2005 and 2016. Led by Awomolo, Busari, who gave instances of how he had been well treated by Onnoghen, said the suspended CJN obtained his asset declaration form from the Asokoro office of the Code of Conduct Bureau in Abuja on July 28, 2010 and submitted same after completing it on November 4, 2010. 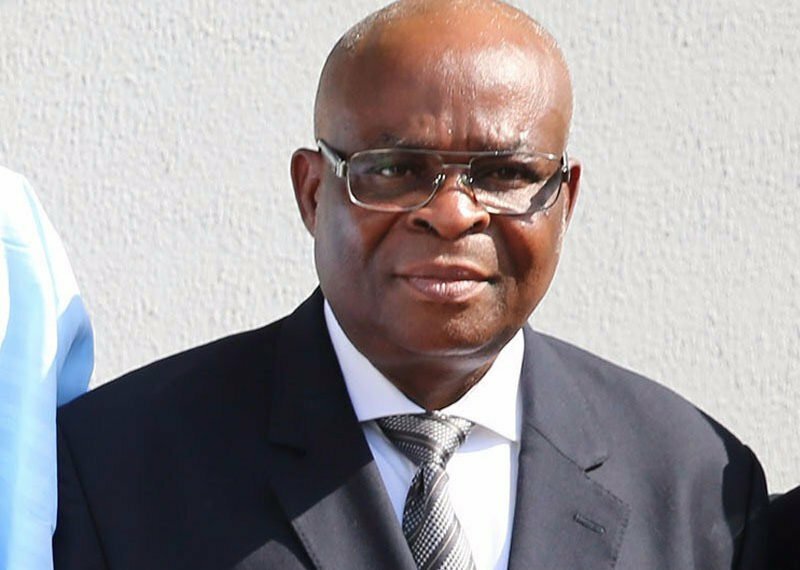 Breaking: Chief Justice of Federation Onnoghen closes defence,"Non Declaration of Assets" The suspended Chief Justice of Nigeria, Justice Walter Onnoghen, on Wednesday, at the Code of Conduct Tribunal, Abuja, closed his defence in his ongoing trial on the charges bordering on assets declaration breaches, after calling his driver of 20 years as his first witness. Lead counsel to Onnoghen, Chief Chris Uche(SAN), told the court that after taking a deep consideration, the defence closes its case. “Pursuant to paragraph 14 of the Practice Direction of the CCT, we will be applying to file our final written addresses.’’ Uche asked the court gove the counsel in the matter 14 days within which to file in their written addresses. He also applied to be obliged with the proceedings before the tribunal. The prosecution led by Aliyu Umar, SAN, also prayed the court to be accord counsel enough time in order to file their own written address. “Because time for filing of written address is not expressively provided for in the Practice Direction, that makes it a matter of discretion of the court,’’ Umar said. However, the Chairman of the tribunal. Danladi Umar said that the tribunal has given the defence three working days, from April 4 to April 8 file their address. The Chairman said the prosecution should file their address from April 9 to April 11. He further adjourned the case until April for adoption of written addresses. NAN reports that Onnoghen’s 60-year-old driver, Lawal Busari to the tribunal as his first defence witness following the March 29, ruling of the tribunal dismissing his no-case submission. Busari entered the witness box, the tribunal issued an order of subpoena, on a director at the Code of Conduct Bureau, Mrs. Theresa Nwafor, to appear as the suspended CJN’s next witness on Wednesday. This followed an earlier oral application by Onnoghen’s defence lawyer, Chief Adegboyega Awomolo (SAN), on Monday. Read Also: Assets decalaration: Onnoghen opens defence with driver as 1st witness The lead prosecuting counsel, Umar, did not oppose the application for the subpoena. In a bench ruling, the tribunal chairman ordered the issuance and service of the subpoena on Nwafor directing her to appear at 10 am on Wednesday. Asked by the tribunal chairman, Awomolo said during the Monday’s proceedings that the defence had proposed to call “two or three witnesses for now.” With Busari’s testimony concluded on Monday, it was not clear if the defence would close its case after Nwafor’s evidence on Wednesday or whether the suspended CJN himself would testify. Testifying earlier, Busari, who described himself as the Chief Driver/Mechanic at the Supreme Court of Nigeria, said Onnoghen submitted his assets declaration form in 2010. This was contrary to one of the six counts preferred against Onnoghen that he did not declare his assets between 2005 and 2016. Led by Awomolo, Busari, who gave instances of how he had been well treated by Onnoghen, said the suspended CJN obtained his asset declaration form from the Asokoro office of the Code of Conduct Bureau in Abuja on July 28, 2010 and submitted same after completing it on November 4, 2010.